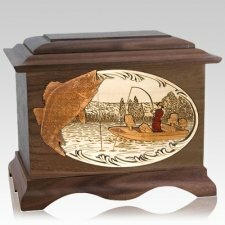 Whether your favorite fisherman (or woman) is baiting up their line in an eternal state of catch and release or filling up their net to provide a dish for the great supper in the sky, a fishing urn is the perfect way to keep their legacy alive on this side of eternity. 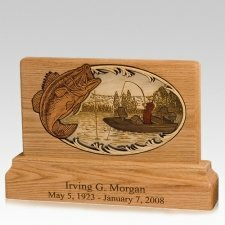 At Memorials.com, we have a beautiful collection of fishing and hunting urns for the ashes of your loved one. Smile every time you remember the weekend fishing trips, the days on the lake, ocean or river, and the joy that the great outdoors brought to you and your loved one. 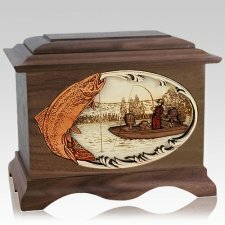 Browse through our hunting and fishing cremation urns to hook the one that's a keeper. 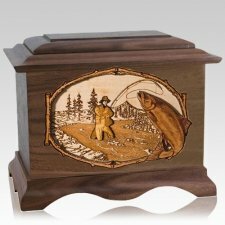 Whether you are looking for a hunting urn or a fishing urn to remember your outdoorsman, we have a great selection to choose from. 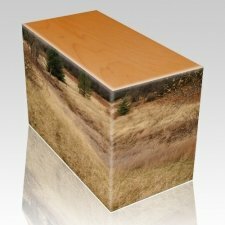 We have options in a variety of materials including wood, ceramic, metal and more. Before you select a vessel, there are a few items to keep in mind. 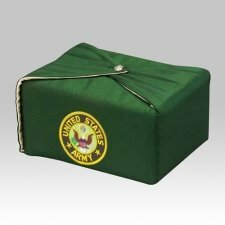 Urns come in small, medium and large sizes. A small container, also called a keepsake urn, holds a token amount of the ashes of your loved one. 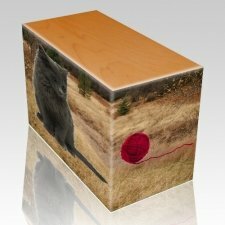 A medium or regular-sized urn is designed to keep the ashes of one adult. 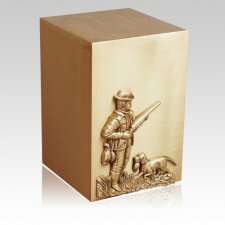 Our larger or companion urns are designed to hold the ashes of two or more people. 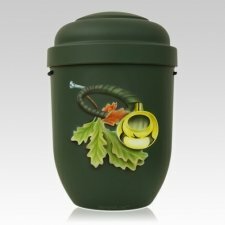 At Memorials.com, we have many sportsman cremation urns to choose from. Below we will highlight some fun options in each category. 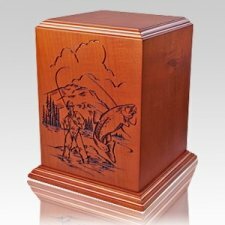 Our hunter urns are sure to delight the surviving family of the avid hunter, keeping the deceased's memory alive in a meaningful way. 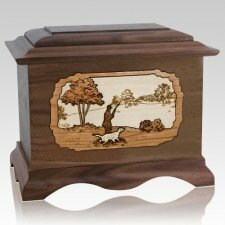 We offer a beautifully handcrafted Hunter Memory Chest Cremation Urn with a carved scene of a hunter and their dog. 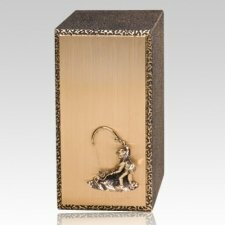 It has a small section in the top that allows you to store keepsakes and other memorabilia of your hunter. It comes in oak, mahogany, walnut, maple and different wood types. 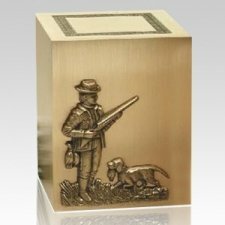 Many of our hunter urns come with hunting dogs pictured on the container. 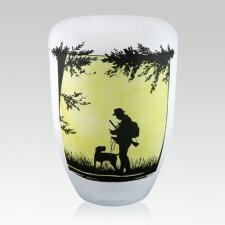 One example is our Hunter Biodegradable Urn that is hand painted by a German artist with a silhouette against a yellow and white background. 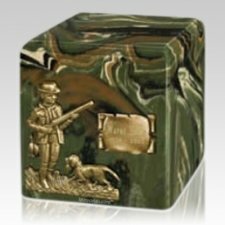 Another excellent option is our Cammo Hunter Cremation Urn made from cultured marble in camouflage colors of greens and browns. 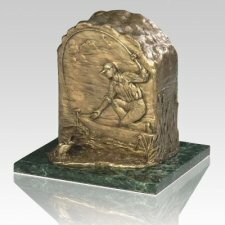 On the front is a bronze medallion of a hunter and their dog. 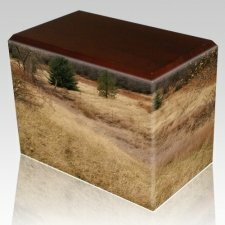 It will provide an excellent memorial to your outdoorsman. 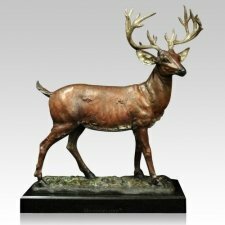 If your loved one was a deer hunter, we have a beautiful Deer Cremation Urn skillfully handcrafted from solid bronze using a lost-wax casting technique. 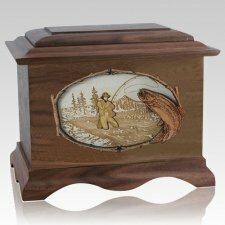 This deer hunting urn will leave a lasting legacy of your favorite hunter. 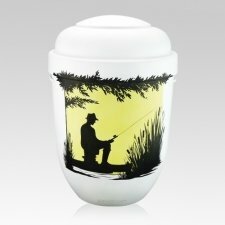 Our fishing ash urns will catch the eyes of onlookers as they are reeled into the memories of your loved one. 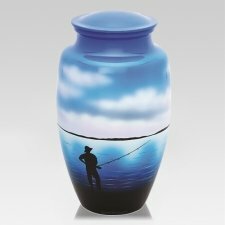 Our Fisherman Metal Cremation Urn is a vase-style urn hand-painted with blue water and skies and a silhouette of your favorite fisher. 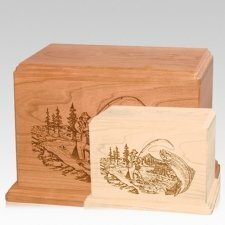 It is a peaceful and memorable way to display the ashes of your loved one. 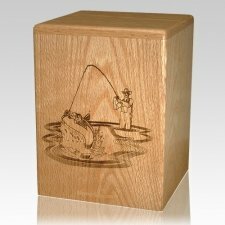 The Fishermans Paradise Wood Cremation Urn is skillfully crafted from cherry wood and is etched with a fisherman in the great outdoors with a nice catch on the line. 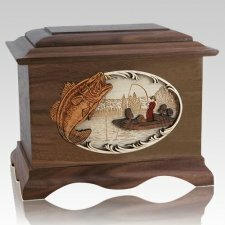 Remember your loved one into eternity with our Forever Fishing Cremation Urn. 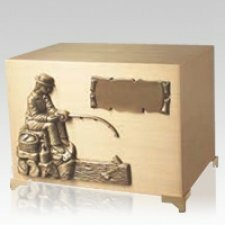 It is a chest crafted from bronze with a bronze medallion featuring a peaceful fisherman reeling in his catch. 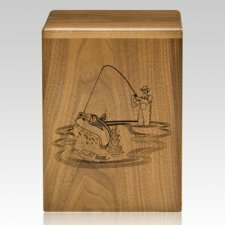 The above outdoorsman urns represent a small selection of our fishing and hunting cremation urns. You are sure to find one this is the perfect catch for your favorite hunter or fisherman. 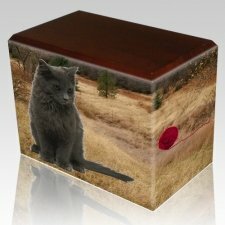 At Memorials.com, ground shipping is always free. The price you see is the price you pay. If you are in a hurry, you can have your urn shipped 2nd-day air or overnight for a small fee.